Residents addressed the meeting and were able to give eloquent accounts of their concerns regarding both the construction and the impact of the new developments. The developers, Muse, also addressed the meeting and outlined how the project had already changed to try and reflect residents’ issues after two years of consultation. However, clearly, with a proposal of this scale there would still be considerable impact on residents – for some individual properties we recognise that impact is severe. Councillors considered the plans and the views of residents and did propose some additional conditions but in the end felt the scheme met planning policies or was in the public benefit. The cross-party committee voted unanimously in favour. 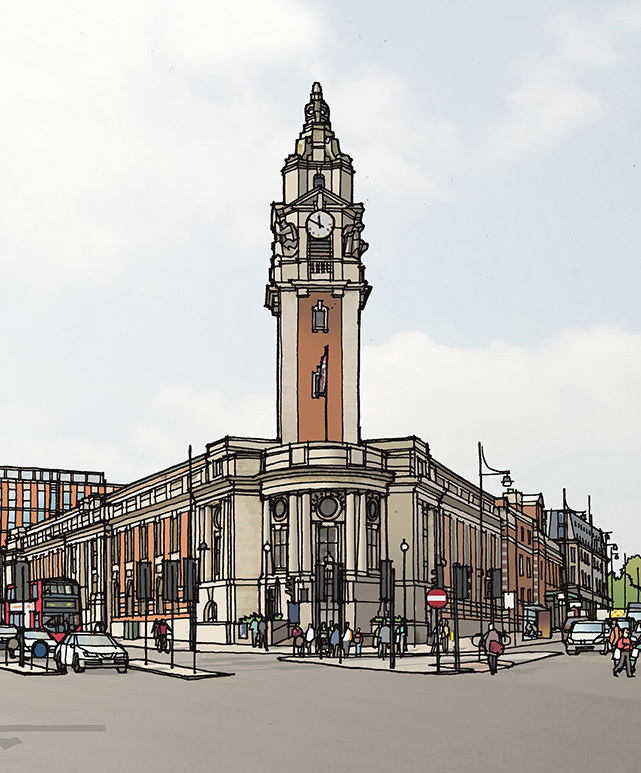 Cllr Paul McGlone told the Planning Committee that ‘the approval of this application will, in years to come, be seen as a good decision for Lambeth and Brixton in particular: it saves money, will boost homes, jobs and business and protects our shared heritage’. Lambeth Council has been working on an acceptable Office Accommodation strategy for a decade now, so this is a major milestone for the Council. As local councillors we know this is just the start of delivering a complex development, and there will be much to do over coming months and years, ensuring that the building work is completed considerately and that 85 Planning Conditions are adhered to. It is hoped that work can commence later this year, following the completion of the relevant legal agreements with Lambeth Council. The YNTH website will be updated with more information on next steps and timescales as soon as possible. The Town Hall is now closed for refurbishment, meaning Council meetings, the Registry Office and so on are moving elsewhere. There is also a new venue for surgeries to see councillors. This entry was posted in Blog and tagged Arlington Lodge, Beverstone Road, Brixton Hill, Buckner Road, Hayter Road, planning, Porden Road, Sudbourne Road, Town Hall by Martin Tiedemann. Bookmark the permalink.